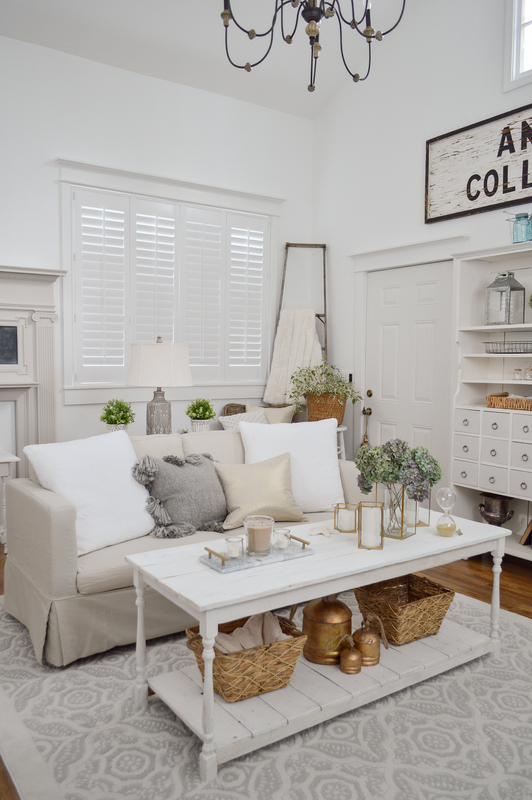 How to decorate a room from scratch — Today I’m sharing how I decorate a room with old and new furnishings and achieve a cohesive look. 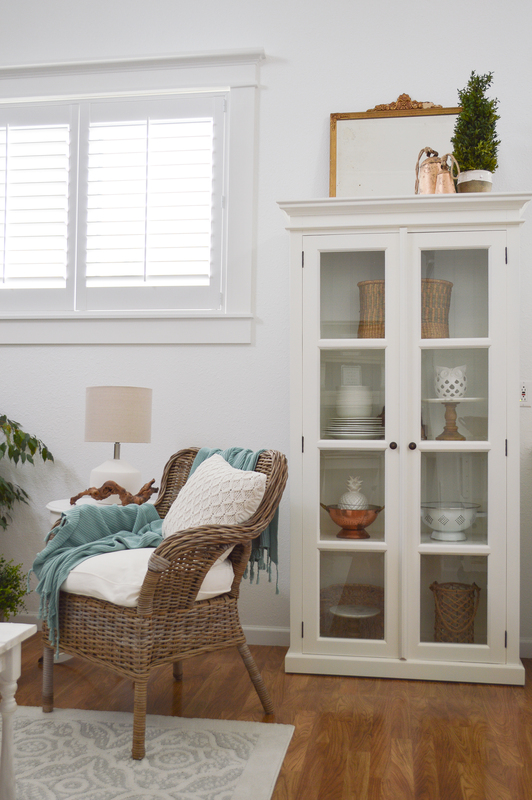 I’m using old furnishings, paint, unifying colors and styles, and a brand new neutral slipcover sofa for a fresh living room look that is both comfortable and functional. In true Fox Hollow fashion, I’ve married old and new to create a cozy cottage living room with a collected, casual feel. It’s definitely my default style. I’m simply a cottage girl at heart. Playing with the pink velvet was a fun fling, but I never expected them to be permanent, even as pretty as they are. I’ve currently got them split up, with one in my “some-day office” and the other in our master bedroom. I actually really love having one in our room, it’s fits perfectly and the blush shade is well appreciated daily. By me. 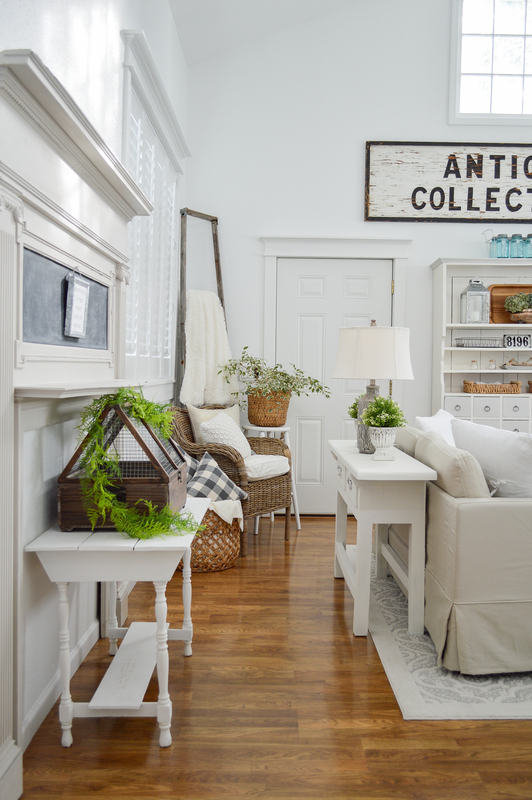 That’s the beauty of my job, and having The Little Cottage to share new looks and ideas in is an extra bonus! 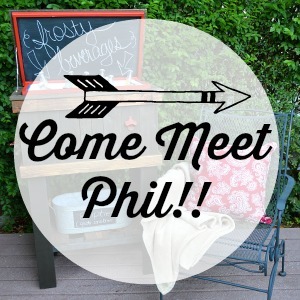 If you are new here, I am an Brand Ambassador and I each month I partner with Better Homes & Gardens at Walmart sharing my personal selections, and spotlighting the vast line of furnishings and home decor available in-store and online with all of you! It’s always a favorite post, and we all appreciate the great quality and the affordable prices! For this months Better Homes & Gardens at Walmart assignment we were asked to share a room makeover, featuring Better Homes & Gardens furniture. 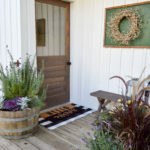 It was a good thing too, because I heartlessly plucked the little white sofa from The Little Cottage living room and whisked it away to the living room at the main house, leaving not much more than the floor to sit on in my wake. Okay, okay, we all know I had a plan all along. As it happened, I’m not really heartless, just an opportunist. You see, I was scouring the site one day (as I often do) and do you know what I saw? I saw that Better Homes & Gardens had a SLIPCOVER SOFA! I know! And I couldn’t click BUY fast enough. And the wheels were spinning and the plan was hatched! And next thing you know I was kind of starting from scratch down here. I flipped the little white sofa and the black iron coffee table up to the main house (click here to see it) and had a big hole and an almost blank slate to work with down here. Install your furnishing & decor! FEEL: I knew exactly how I wanted this room to feel. Cozy and comfortable. And that white sofa was making visitors feel like they couldn’t sit on it! Up at the main house, I can shove someone in it and tell them to sit, lol. A slipcover sofa was exactly what this room needed but I couldn’t afford one, until now. Wait until you see the price you guys. I was ecstatic. It’s not white, but it’s still super neutral and it’s a really light linen/cotton look that is completely washable. 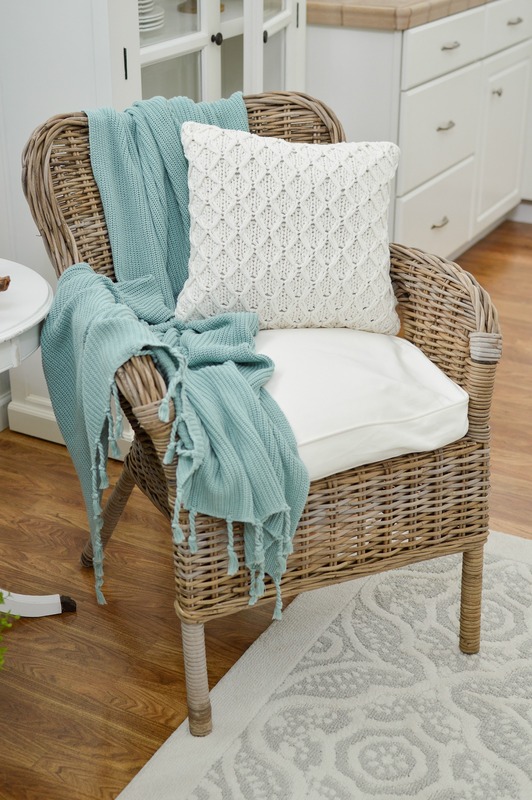 Slipcover, cushion covers. Worry free! I want family and friends who come to stay to feel really comfortable and relaxed. 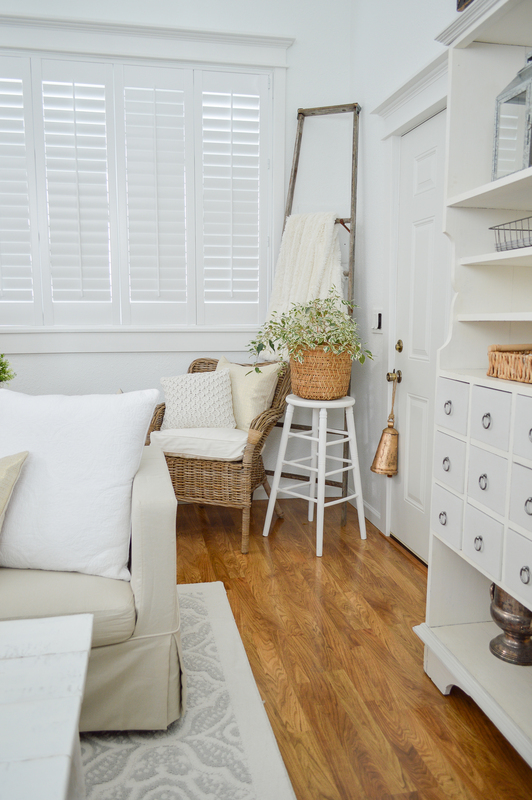 The cottage aesthetic always feels warm and welcoming and that is what I want this space to convey. 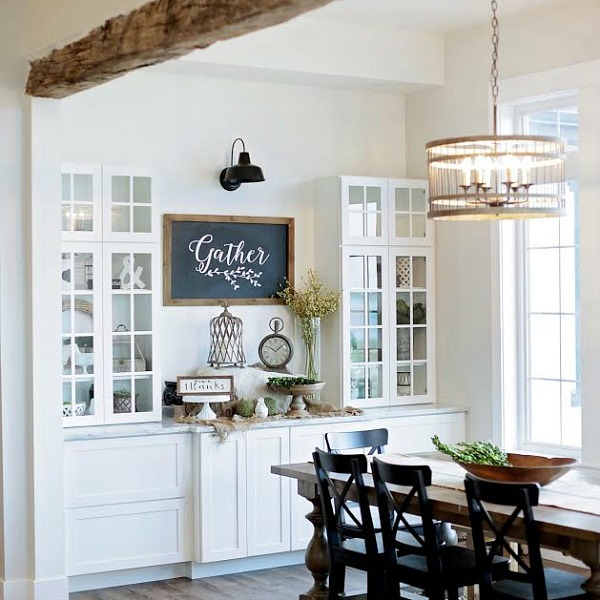 FUNCTION: This room, and the majority of the cottage, are meant for family and friends to have a place to stay when they visit. The living space I’m concentrating on today, needs to function as a place to relax, unwind, watch a movie in or get comfy on the sofa for a chat, to chill with a cocktail, read, or even nap. With the new (also larger) sofa, the different lighting choices, extra seating and soft rug, it’s ready! LAYOUT & TRAFFIC FLOW: I’ve been working in this space for awhile so I’ve got it pretty dialed=in as far as how the room best sits it’s furnishings, and the general traffic flow. You can easily get around all the furnishings, reach the TV armoire, and travel to the kitchen with a clear path. ROOM SIZE: When starting from scratch it’s imperative to measure everything for scale, and to make sure it’s all going to fit the space it’s intended for. You can use online sites and apps, or good old graph paper. Though I wasn’t changing that many major elements in the room, I still measured the sofa and checked to make sure I had adequate room for it before ordering. STYLE: I went back to my roots and it’s cottage style all the way down here. 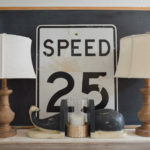 I’ve got a hint of farmhouse and some of my favorite DIY and vintage finds thrown in too. COLOR SCHEME: Does neutral count? I can’t help it. It’s just so effortless when everything plays nice. Versatility appeals to me. PAINT/WALL TREATMENT: *Optional — One day, I will have a beautiful, classic board and batten wall treatment in here. For now, I’m still living off the new window trims and plantation shutters Jimmy and I did the Summer before last. It doesn’t all happen over-night here, that is for sure. What fun would it be if we didn’t have any projects to dream about right? And boy, I’ve got dreams. hehe. The wall color and trims are all Extra White Harmony Paint from Sherwin Williams. 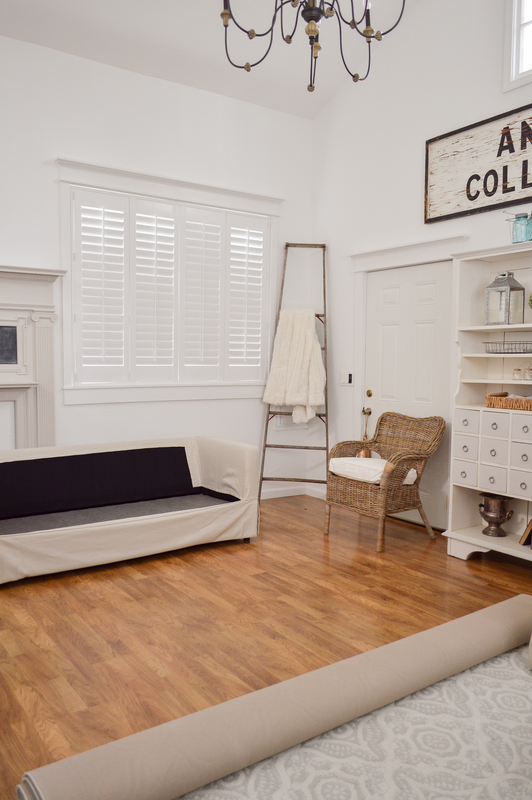 FURNISHINGS: The slipcover sofa was my only new furniture purchase to complete this room! Everything else was moved from other spots, rooms, or flipped from the main house. 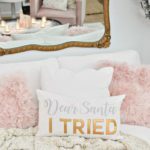 MAKEOVER PIECES: In the last few months I’ve re-painted and refreshed almost everything I brought into the room or was re-using so I didn’t need to do any makeovers to pull this look together. The vintage fireplace surround is wearing Sherwin Williams Worldly Gray. 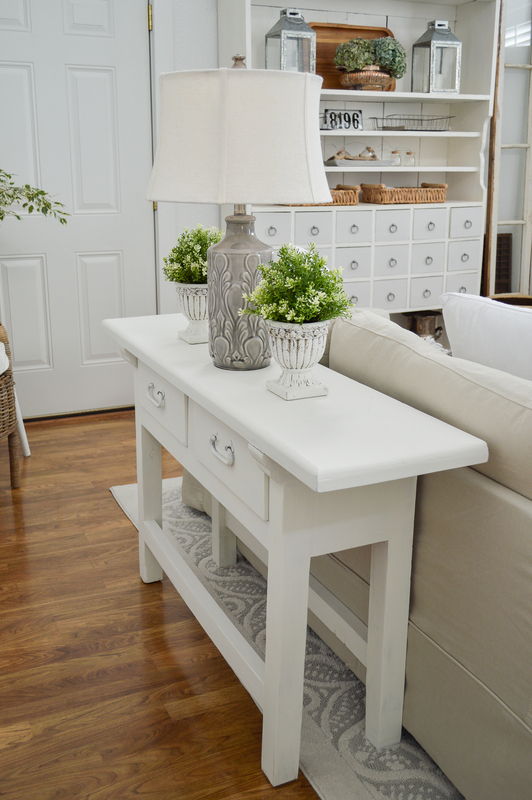 The sofa table and TV armoire were just refreshed with Maison Blanche Ivory chalk paint. 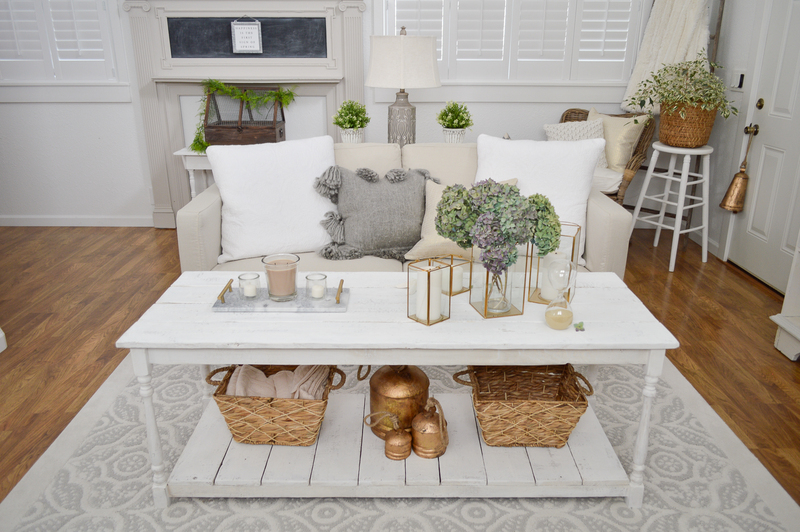 The coffee table is painted in Maison Blanche Magnolia chalk paint, as is the little round side table. 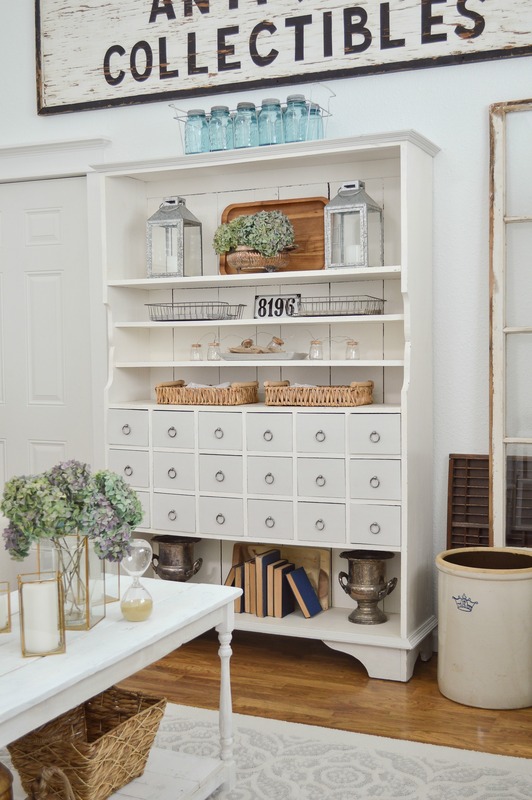 The apothecary cabinet has Silver Mink Maison Blanche drawer fronts. EXTRAS: I’ll point out my extras as I share the new look. INSTALL: To follow in photos! After I went over my check-list, I started my install working from the ground up. That meant putting a rug on my wood floors. I’m still super smitten with the rug I found last Fall and decided to continue to keep it here for now. It’s the perfect blend of light, without being all white. It’s soft, plush, doesn’t show wear patterns (you can never tell if it’s just been vacuumed or not) and it’s got a full rubber back so it’s extra safe! It never flips-up and it always stays put. After the rug, came the sofa & coffee table as the most important new additions in the room, as they would be sitting in the middle and be the main focus. While it feels like a BIG room because of the vaulted ceiling, it’s a bit tricky to get far back enough to get nice, straight-on photos for you. Austin and I tested the sofa and it’s pretty dang comfy. I had to watch Shaun Of The Dead for the 947th time. But we tested it out proper. Feet up on the coffee table and everything! It’s since been piled with pillows of course, because this is me we are talking about here. I always prefer to have my furniture “float” in the room if at all possible, and being able to use the sofa table properly, instead of as a console table is my first choice! 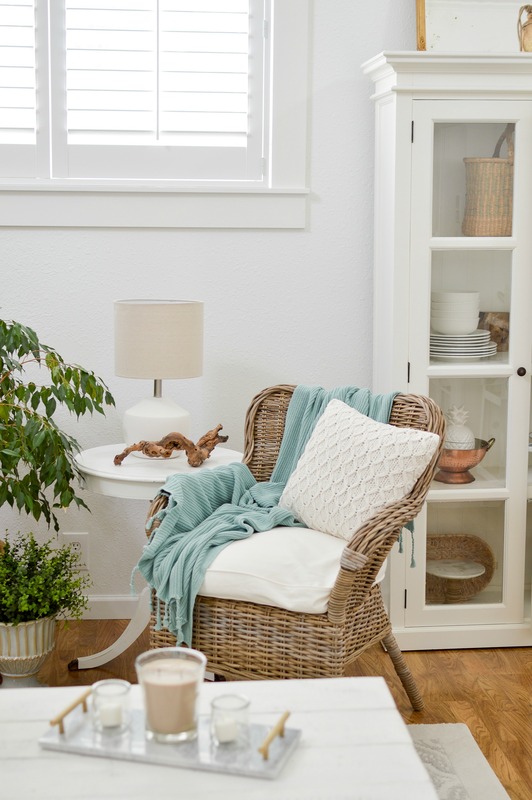 These chairs are the perfect size to kind of tuck out of the way, but are easy to grab if you need to pull them in for conversational seating. 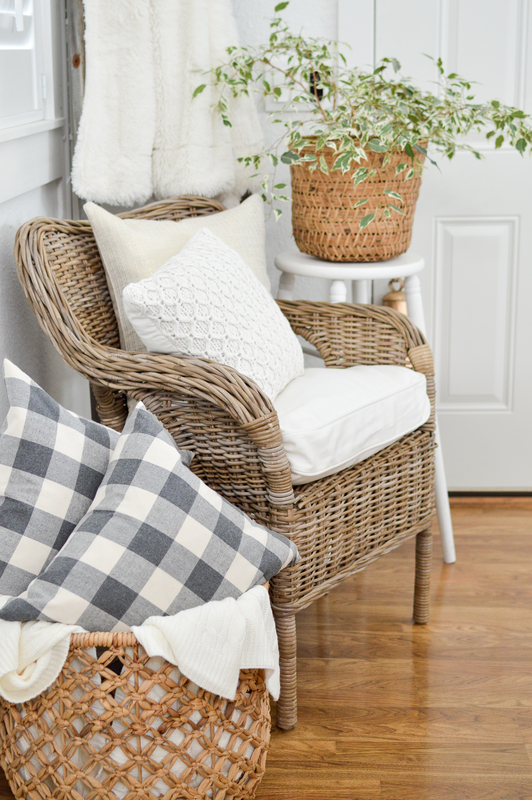 I’ve got some cute Better Homes & Gardens Buffalo Plaid & Sweater Knit pillows at the ready to make sure everyone is comfortable. After all the repairs on the main house were recently completed, I discovered I really liked being able to actually see out the windows in the sun room. Those weeks of having everything opened up and the apothecary cabinet not blocking the view made me realize I didn’t want to put it back. I think it was made for this wall! It tucks right under our vintage sign, and the soaring ceilings just gobble it up and it doesn’t feel too big at all. It still needs some decor tweaking, but that’ll be a nice project in the future. The short shelves are always extra challenging to fill. You guys know that coffee table styling isn’t my strong suit. I like simple & easy and I don’t want to pile too much on them, though I like that look when I’m browsing Pinterest. Go figure. 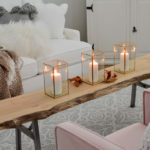 I added two new gold metal & glass candle holders to my collection and used some dried Hydrangeas in the largest size. 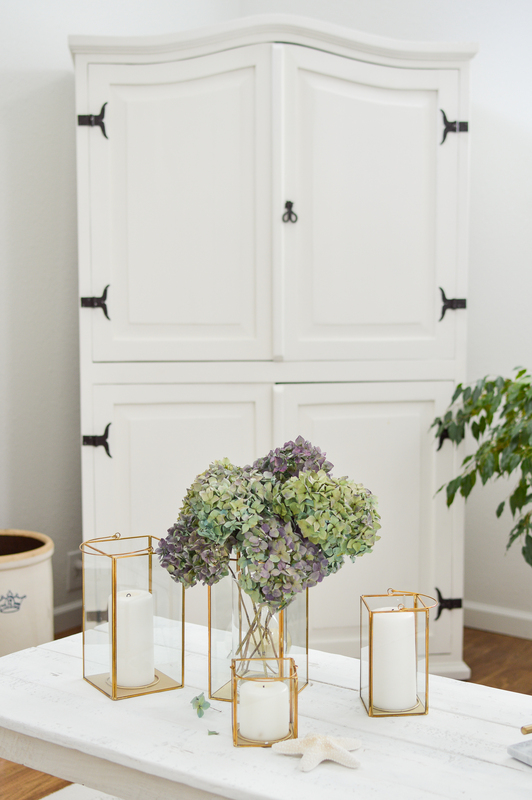 I love the light & airy look, and that they don’t weight down the center of the room, instead, they keep the eye moving. I’m so thankful for these miraculous flowers that just keep giving. Being February, nothing much is blooming here yet and there are slim pickings in the floral department. Oh, and I found baskets too! I’ve been on the hunt for two baskets for under the table and I found them in-store when I wasn’t even looking for them. There was a super cute big round one too, but I made myself behave and I left them there for someone else. They were right at the first main isle in the housewares department where they put all the new seasonal stuff. I liked the wrapped handles. It definitely gives them a more finished, polished look. I’ve got one filed with an extra throw and I left this one empty for guests to fill with their phone chargers, iPad, books or other miscellaneous things they might want to keep in the living room, but have corralled. Because I was able to position the sofa table up against the back side of the sofa, and the lamp went along with it, I needed to replace that lamp, and a surface to set it on. I went with this sweet little concrete look lamp. I love the chameleon like versatility. 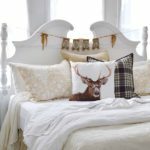 It could go rustic, modern-farmhouse, or boho… and fits in equally well in my cottage environment. I’m so glad I picked up those sweater knit pillows. They are such a great basic and I know I’ll have them for years! I got them in grey and this creamy white. Something I like is that the sweater knit isn’t too chunky. It’s makes them less season specific and more versatile. I’ve still got my glass front cabinet acting as a place holder for a refrigerator. 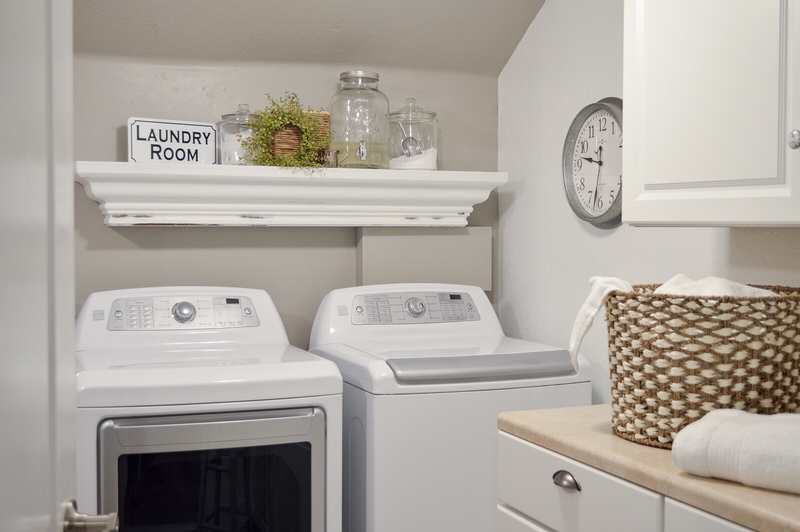 There were many projects and purchases put on the back burner by that major home repair we had to do. But such is life right? That’s what coolers were invented for. Always trying to keep it classy here at the cottage. We have a round of guests coming to stay this Spring, and I think they are going to really appreciate the new sofa, and the more relaxed overall feel. All we need now, is wifi and some ice for that cooler. As always, I’m including clickable affiliate shopping links below to all my Better Homes & Gardens items, so if you can’t get to a Walmart, or find what you are looking for at your local store, you can shop online! If you have a question about anything I didn’t cover, please leave a comment and I’ll get back to you as soon as I can! 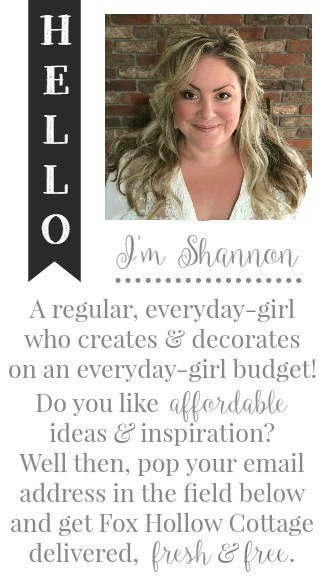 Your blog posts are always so beautiful Shannon! 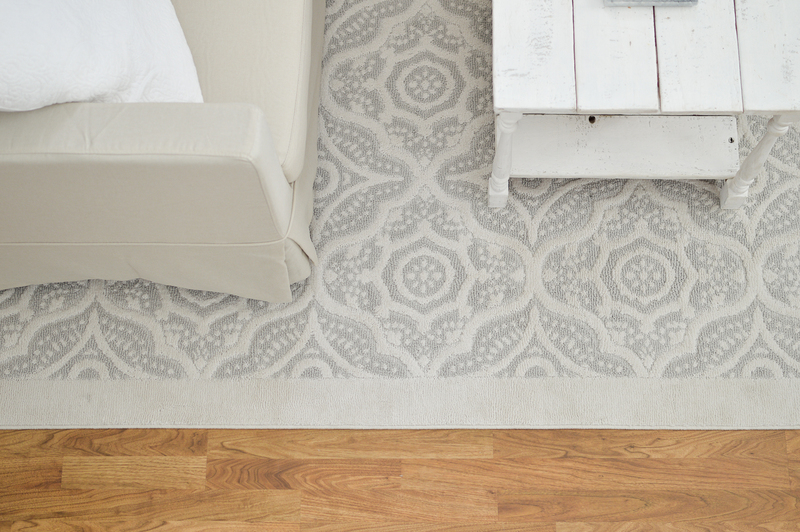 I love this step by step tutorial to make a room. Of course the room is beautiful! I always love it. I always like your Walmart posts because you show such clear links to buy the products. You do such a good job of picking things out and using them. I always find something I want to get! Love it!! 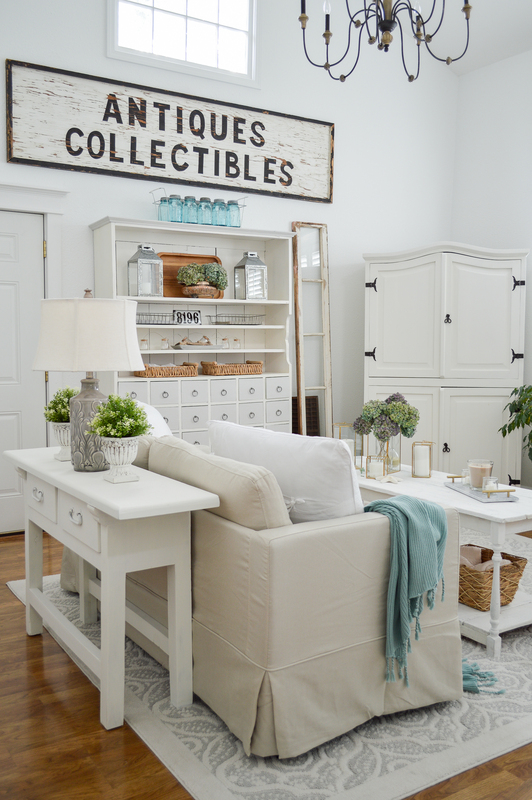 Julie I was really excited to share this month, because I was able to find such a substantial furniture piece, that I’ve been wanting for the longest time! 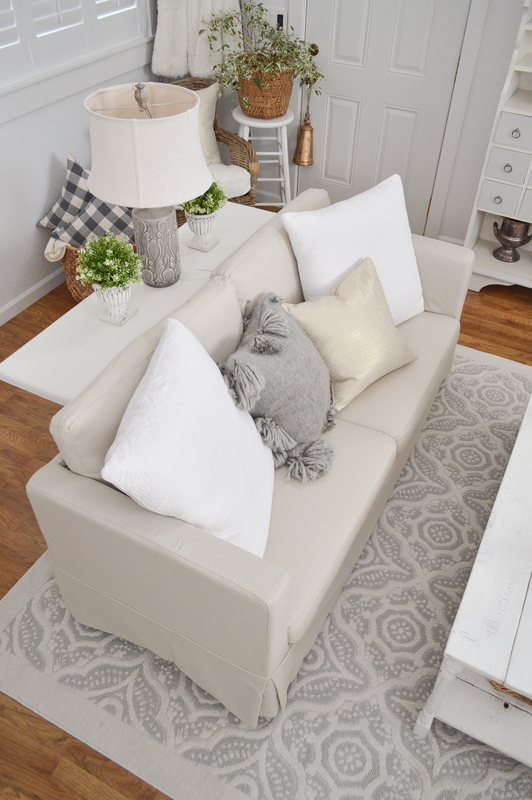 A sofa is kind of the biggest part of a living room, and to find such a budget solution, when you really want the feature of a slipcover felt pretty awesome! I adore your new sofa in this space! and purchased a three cushion neutral hued sofa, I was amazed at the change. instead. . .every thing came together beautifully! 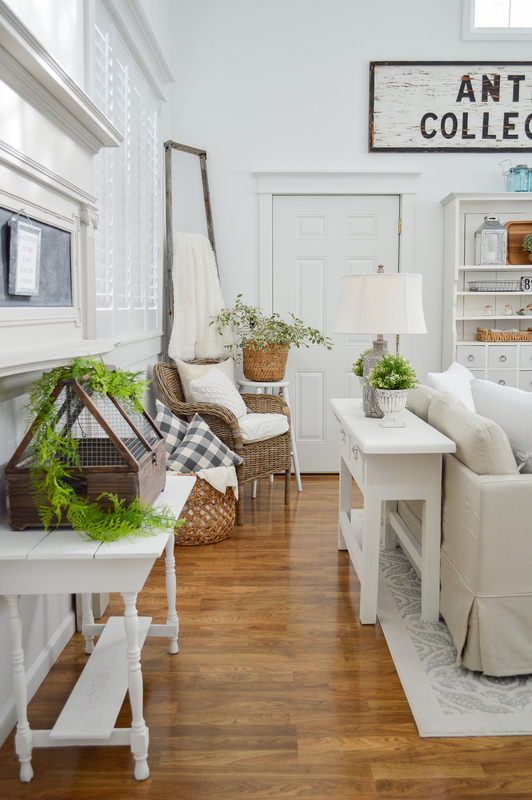 Your Cottage Living Room make~over will make your guest feel cozy, indeed! Pat, it’t truly amazing what a neutral base can do. You are suddenly free to have accents and features with the other things orbiting the room. I’m glad it worked out so well for you!! 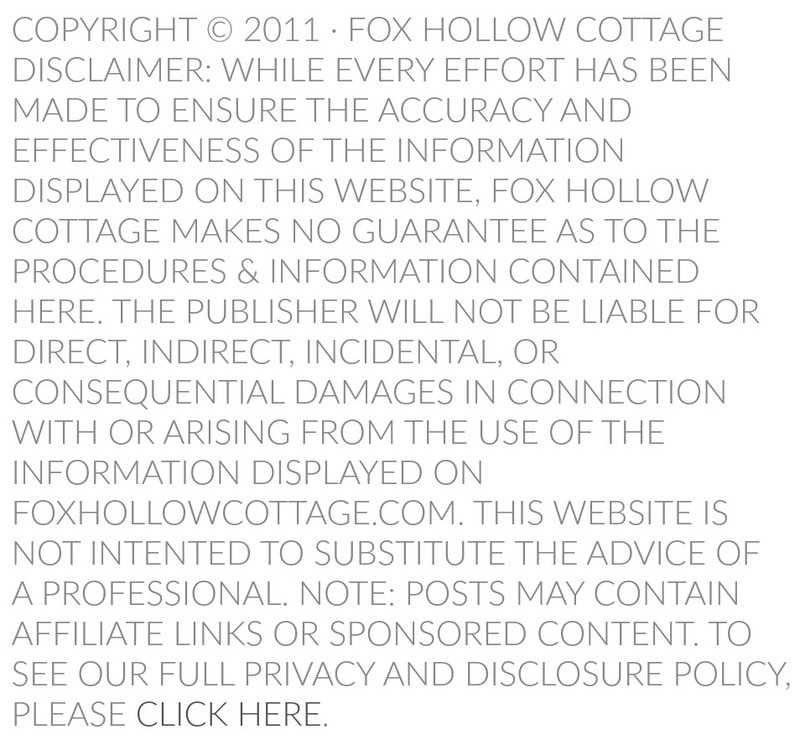 Soooooooooooo Cottage Cozy!!!! I was glancing back to some recent posts from you…. and it never fails… my eye is always drawn to those silver trays!! Love them… and that mirrored door !! WOW…. Everything is just gorgeous!! Thanks for taking the time to share!!!! I’m so glad you love looking! I had no idea they had a slipcovered sofa! Love it! And everything looks so nice! 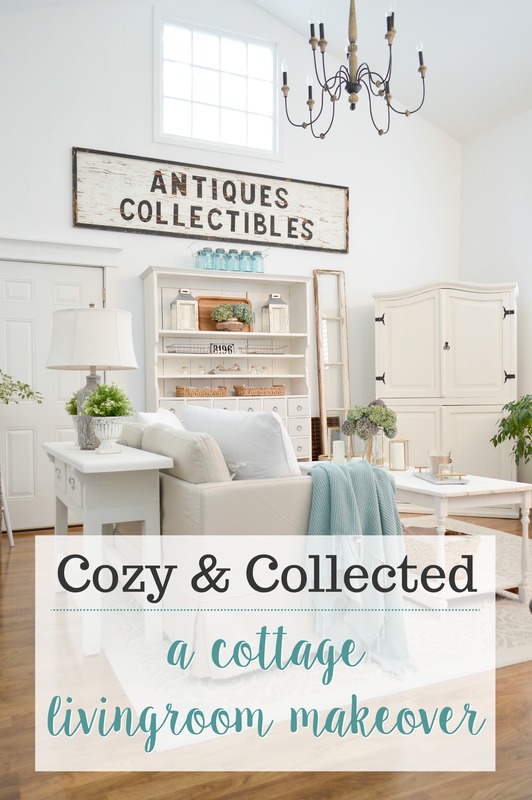 How refreshing your cottage makeover is! 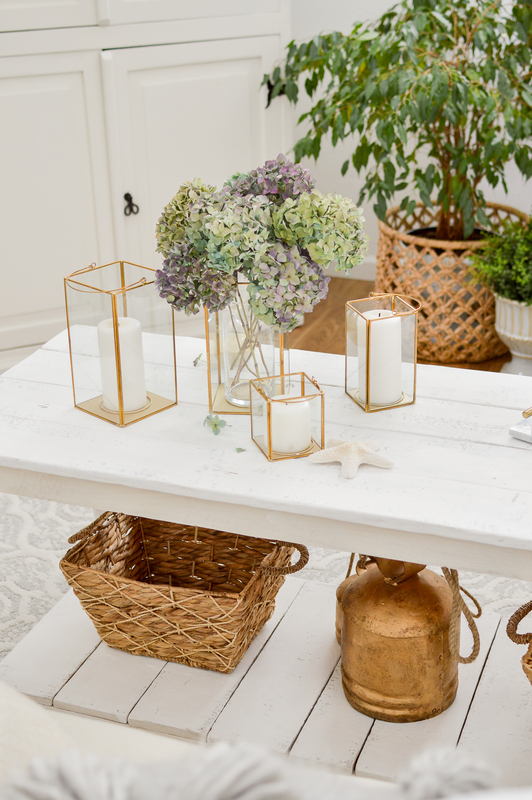 The light and airy-ness of your farm-style seems to reflect the light and airy-ness of coastal décor…and I just love it! Thanks so much for sharing and inspiring!!! The Floor!!! Did you replace it with a lighter color? If so with what and name of color? No Jean it’s the same flooring. It’s about 13 years old. Just some Pergo style laminate, I have no idea what the brand or color is, I’m sorry. 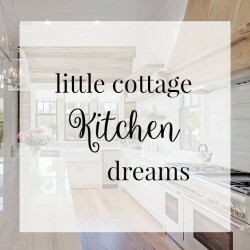 I love, love, love your main cottage and the little guest cottage! Exactly what I’d love to have as an “empty nester”. 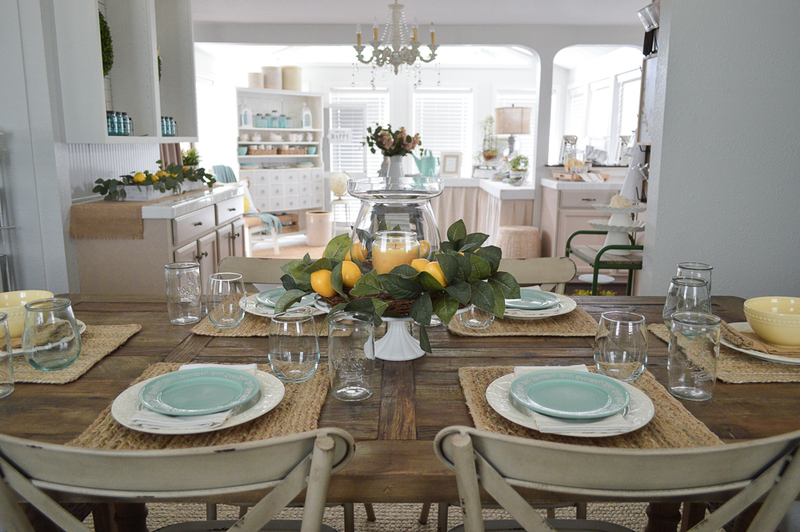 A few years ago, I changed to mostly all white with seafoam accents…lots of shells, etc. No nautical, just coastal. You are such an inspiration to me! I had to have a set of those adorable Christmas dishes…and I got service for 6. I adore them! We will use them all winter. Could you tell me where you got the seafoam afghan? I can’t find one anywhere! Thank you Carlo 🙂 Your place sound just right! Mine are still out – we’ve had rain, and even snow. So the Pine Cones fit in pretty well. I’ll check that and see if I can find a link for you. Take care and happy Winter time! Love your changes. Everything looks so light and airy. You always give everything just the right touch. Everything is in an obtainable budget and so stylish. 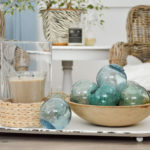 Better Homes and Gardens makes decorating so much easier than having to shop and shop all around to put things together. That’s exactly what I was going for, thank you! 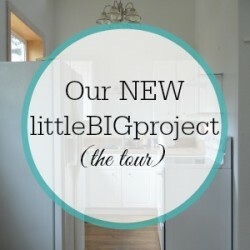 I love the Better Homes & Gardens price point, it’s one of the reasons I love sharing it, because it all feels attainable. 🙂 Have a great weekend Ruth!